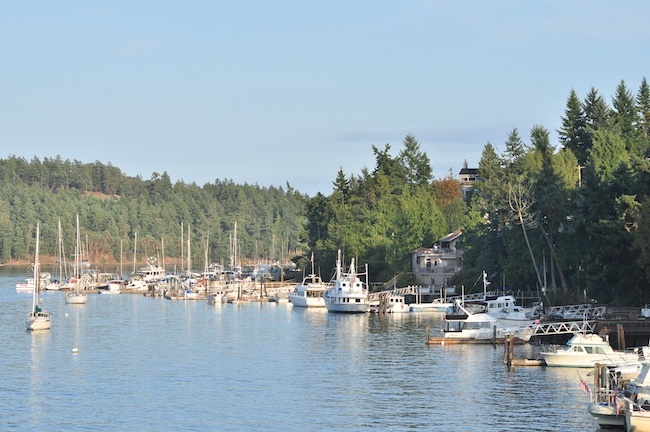 The San Juan Islands cluster in the most northwest tip of Washington state, off the coast of the cities of Bellingham and Anacortes, and just spitting distance from the Canadian border. Hitching a ride on a ferry boat is the only way to access this remote but beautiful chain. A little more than a third of the residents of the 20 islands are seasonal, and the islands’ median age is 55 years old, according to Rock Island Communications. Visitors and residents alike experience the rough weather, thick Douglas fir overgrowth, and rocky terrain one would expect from the Pacific Northwest coast. These environs make for beautiful vistas – the islands are considered a vacation destination – but less than ideal conditions for high speed Internet access. But how does a locally-owned and run telecommunications contender offering high speed Internet access operate in a county of less that 17,000 residents? The “cable” Hildreth refers to was a major submarine fiber cable operated by CenturyLink that connected customers on several islands to telecommunications networks. Because of the harsh Pacific Northwest marine climate conditions, among other factors, in November 2013 the cable had frayed to the point of severing completely. The hardware failure led to 10 days of service blackout and, according to a report by the Washington Utilities and Transportation Commission (WUTC), affected more than 15,000 regulated access lines. Losing Internet access constitutes a major inconvenience, but the most serious consequence was the failure of 9-1-1 communications. The ISP didn’t restore emergency communications until a staggering five days later. The outage was so bad that the WUTC fined CenturyLink$170,000 for its mishandling of the outage. OPALCO believed offering fiber and wireless was a necessary counterpoint to CenturyLink’s dereliction of quality service. OPALCO’s move to build out fiber started because the co-op needed to guarantee the soundness of its own communication lines. But, instead of leasing out their infrastructure to other ISPs, OPALCO decided to absorb Rock Island and manage its own ISP. Growth of this kind doesn’t come without bumps in the road. OPALCO’s move from a completely member-owned nonprofit to a nonprofit with a for-profit arm ruffled the feathers of some members who had concerns about the funding model. Initially during Rock Island’s first two years of operation, OPALCO used small fee increases from its members to help fund the venture. Hildreth says the dues worked out to around $3 per member every month. The normally high start up capital costs of fiber installation, coupled with the rocky maritime terrain of the islands, makes underground fiber installation even more complex and pricy. The project cost around $25 million in total. Rock Island, which no longer takes funding from OPALCO, has looked for innovative ways to fund the venture (on top of lines of credit from CoBank) while trying to keep services’ costs competitive. The company offers a cost sharing program for “fiberhoods,” or prospective customers living nearby one another, to split the cost of the middle mile and last mile deployment. 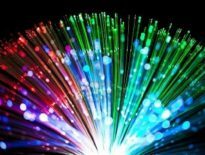 The theory is that the larger the fiberhood, the smaller the monthly fees that incorporate the costs to create fiber connections. Also, to help ease along the capital-intensive last-mile set up, for its first 3,000 customers Rock Island created two incentive programs. For those customers helping to pay for last mile construction, the company offered a $1,500 credit; for those who are able to cover the entirety of construction costs for their last-mile hook up, Rock Island discounted their fiber subscriptions at a rate of $20/month. For fiber, Rock Island’s plans range from $80 a month for 30 Megabits per second (Mbps) to $180 a month for 1 gigabit, with symmetrical upload and download. 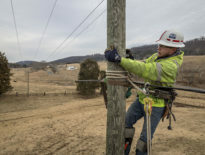 The company also offers price reductions for three- and six-month plans for seasonal customers: at $43 per month for three months of wireless, $40 to $80 per month for three months of fiber. Another option is $63 per month for six months of wireless and $55-$110 per month for six months of fiber. For those who want continuous LTE service (whose speeds range from 7-15 Mbps download), the plan costs $75 per month. Hildreth says the plans are in line with the maintenance and service costs the unique terrain requires. He describes Rock Islands plans as “extremely competitive” based on the fact that most of their lines run either underground or underwater. “If our services territory were contiguously land-based, with the ability to place fiber optic cable on above ground facilities, our pricing structure would be comparably lower,” he said. And, Hildreth added, the customer service Rock Island offers makes it a standout in the market. Because the company and its parent OPALCO are on the ground, they not only are keenly aware of outages, but also have a stake in correcting them for their own services. “In terms of customer service, we far out compete the incumbent provider because we are local people serving our local communities with intimate knowledge and understanding of the challenges of island living,” he said. The Internet Crisis of 2013 from Rock Island on Vimeo. Photo credit Joe Mabel [CC BY-SA 2.0] via Wikimedia Commons.